To be successful, any enterprise must promote itself. Without marketing, registering a domain name and building a web site is not much different than getting an unlisted phone number and wondering why no one has called. Web sites are of little use unless someone has already learned about it from somewhere else. Faced with the addition of millions of new web sites each month, there is little doubt that site publishers can be overwhelmed by the demands of promoting their site to remain competitive. There are professionals who will do it for you, but if you stick to the basics and work at it some each week, you can make your way with the right attitude and approach. Basic Web Site Promotion — In this article, Internet Brothers offers eight tips to get you started on the road to recognition and netoriety. You have two choices. Do it yourself, or hire a submission service. Most established webmasters agree this job is better done yourself. You are the one who built the site, you know all the ins and outs. Making sure submission guidelines are followed greatly enhances your chances of having a quality listing. Even though virtual, the Internet is very much a community, and it has no boundaries. Remember that it has a global reach. Visit your neighbors and competition, participate in online communities, be involved. Tracking Visitors — Dump that useless counter and get tracking. 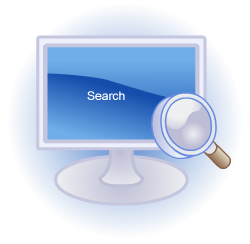 Getting listed in the search engines is only the beginning. You must determine the effectiveness of your web site promotion. To know that, statistical analysis and demographics about visitors to your cyber home are critical. Knowing how many is not knowing much. When the search engines spider your pages, they don't list all the keywords they found as belonging to your home page. People actually do enter your site right smack dab in the middle. It's important to know what information in your site is attracting attention and plan your strategies accordingly. Whatever you did right there can be migrated to the lackluster performing pages. Attention Please — Fawad Ahmed of the Goldvisions Online Success Community offers six common sense and effective tips for improving web site visibility. According to Fawad, "only one thing is certain about succeeding on the net: it takes time." It also takes patience and diligence. Here is some solid advice to aid your efforts. Word of Mouth Advertising Works — Matthew Blevins and Michael Wist tell us that in a world dominated by meta tags, banner rotation ratios, and mass e-mailings, the most basic, and arguably the most effective method of advertising, remains the communication of information from one friend or associate to another... word of mouth. Looking for More Traffic — You've optimized your meta tags, submitted your web site until your fingers are tired, and tried banner exchanges. But even though these have helped, you still aren't getting the kind of traffic you hoped for. Are there any other techniques that work? Beverly Miller says yes. Hard Work Pays Off — Michele Jinkerson says when you put a lot of time and effort into anything — it shows. The same can be said for a successful web site — hard work will shine through. But the hard work doesn't stop when the site is uploaded. If you fail to put that same effort and time into promoting your site, all is for nothing.